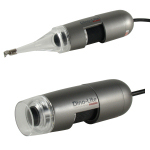 AnMo Dino-Lite USB Digital Microscopes - find the USB digital microscope that is ideal for you. These compact devices are simple to use, totally portable and provide high resolution magnification with up to 500x optics and 5M pixel sensor resolution! 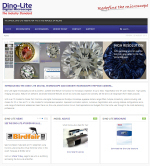 The extensive product range offers solutions for a wide range of applications and all at very competitive prices. 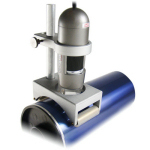 Used handheld or with one of the optional stands a Dino-Lite digital microscope provides a cost effective and highly flexible solution to detailed inspection. 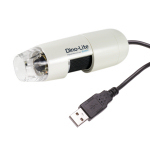 Dino-Lite USB models offer USB2.0 computer connectivity and support both Windows and Mac systems. The included DinoCapture 2.0 software allows still images, real-time and time-lapsed video streams to be captured quickly and easily. Other functionality includes the ability to annotate captured images with text and graphics. 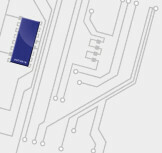 Comprehensive measurement functionality is standard on all but the entry level models. Dino-Lite TV, VGA and DVI models offer the same handheld flexibility but without the need for a computer. 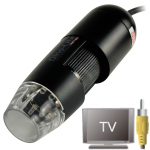 Connecting directly to a TV or monitor these are ideal for applications that do not require image capture but demand the very best in real-time performance. software. 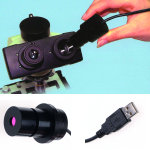 Dino-Eye USB eyepiece cameras bring the power of Dino-Lite to your existing microscope or optical system. 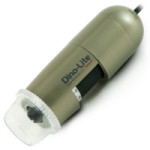 With a range of options to support most standard microscope and endoscope fittings a Dino-Eye allows you to utilise the DinoCapture 2.0 software features and advanced Dino-Lite imaging with your traditional microscope.